Iglu is thrilled with the results of October’s Computer Recycling Program! We received a wonderful show of public support for this initiative. 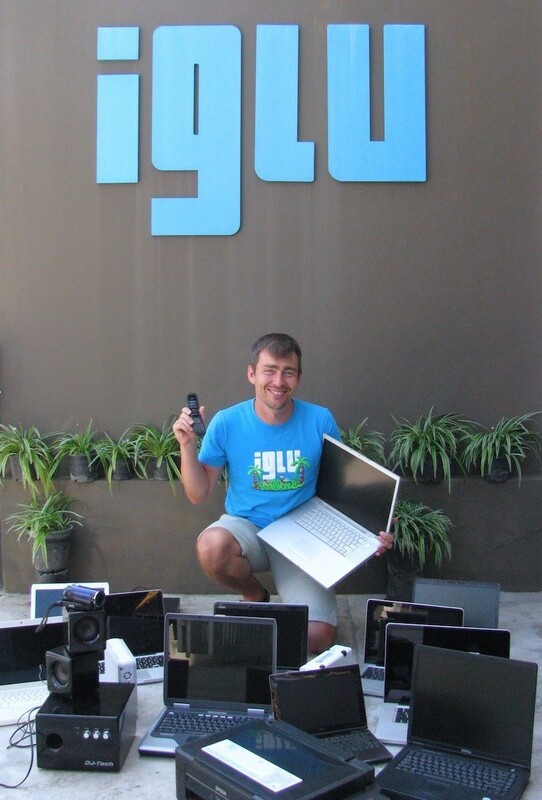 Everyone at Iglu would like to thank the Chiang Mai community for its amazing response to our request for old/used computers and electronic devices. Starting October 1st, 2017, Iglu sent out a request to begin collecting older computers, tablets, printers, and mobile phones for safe disposal or donation to a local charity. We’re pleased to say we received 80+ donations for recycling including printers, speakers, smart phones, over a dozen laptops, and even an old-school flip phone! Happily, a few devices are still working and ideal to donate to the fine folks over at the Warm Heart Foundation. Thank you to everyone who participated. We look forward to supporting the local community and the environment once again next year when we will host the 2nd Annual Computer Recycling Program in Chiang Mai.